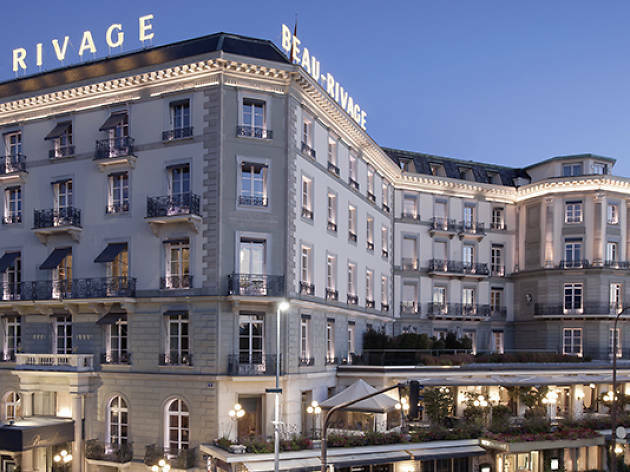 A five-star hotel with panoramic views of Lake Geneva and Mont Blanc. 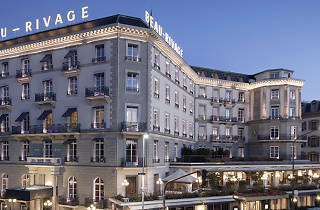 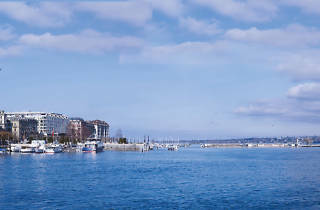 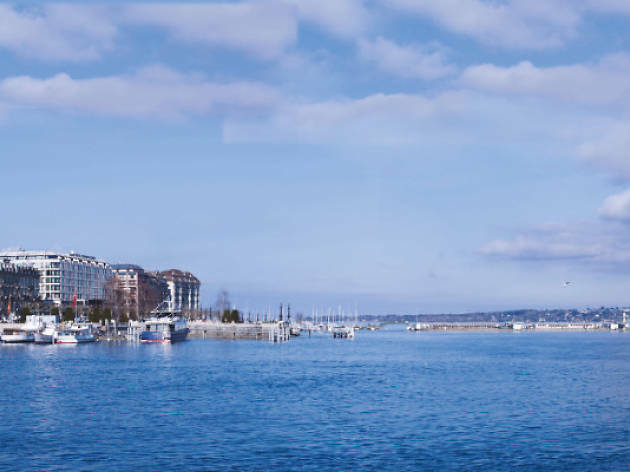 Geneva's Hotel Beau Rivage boasts 150 years of top-notch service, luxury interiors and a stunning location on Lake Geneva. 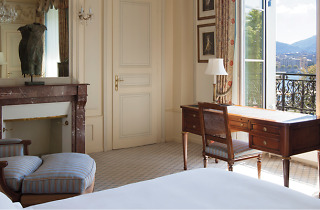 The rooms and suites all have their own style, with decor by British interior architect Leila Corbett Elwes. 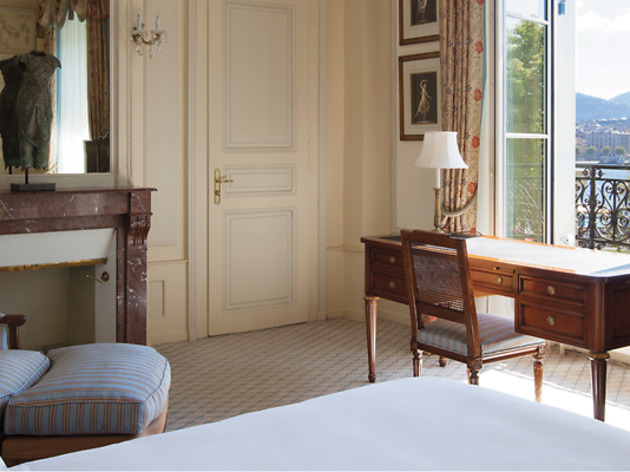 The restaurant Le Chat Botté serves up French cuisine and has been awarded a Michelin star and 18 out of 20 points in the Gault Millau. 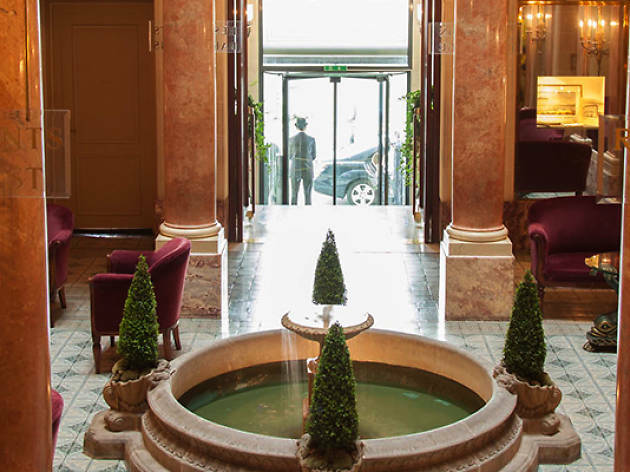 There is also a Thai restaurant and lobby bar for more casual dining. 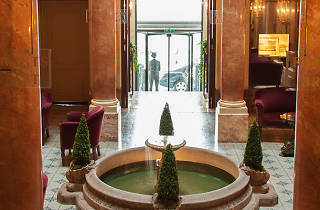 The hotel atrium provides a light-filled space in which to relax year-round and in summer there's a lakeside terrace.